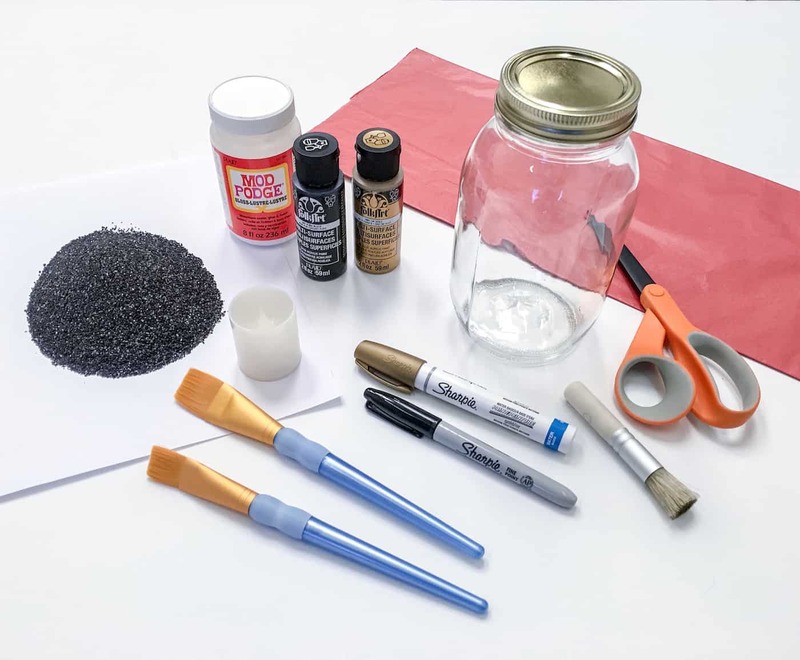 Turn regular mason jars into a fun Chinese New Year craft with tissue paper, paint, and Mod Podge. 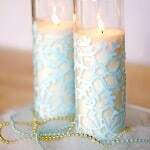 These mason jar lanterns are perfect for a themed party! Are you familiar with Chinese New Year? If you're not, it's “an important Chinese festival celebrated at the turn of the traditional lunisolar Chinese calendar.” It's also a time to honor your ancestors in Asian countries. 2016 is the year of the Monkey, and Chinese New Year is from February 8th – 22nd. 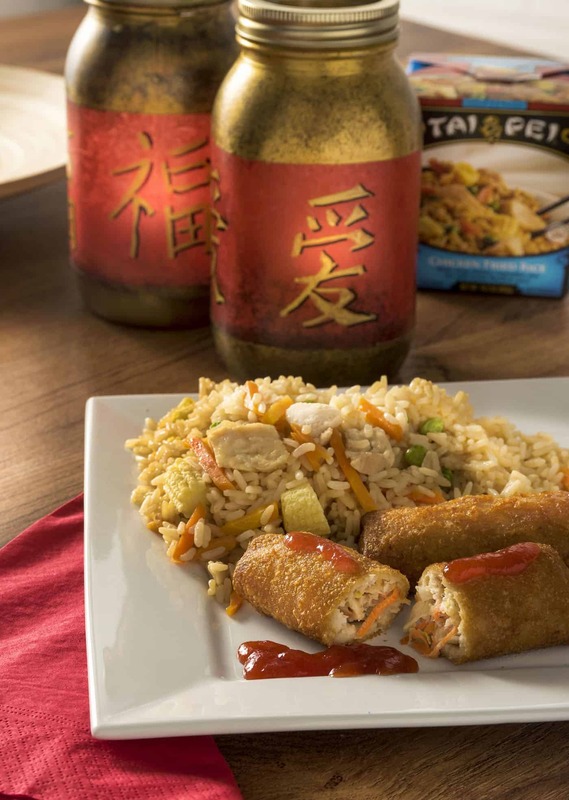 This year I'm celebrating with a fun Chinese New Year craft – mason jar lanterns – and some delicious Asian-style cuisine from Tai Pei! Chinese New Year is a chance to celebrate with friends and wish “good fortune” for the year ahead. It's also a chance to eat some DELICIOUS Chinese food (one of my favorites). 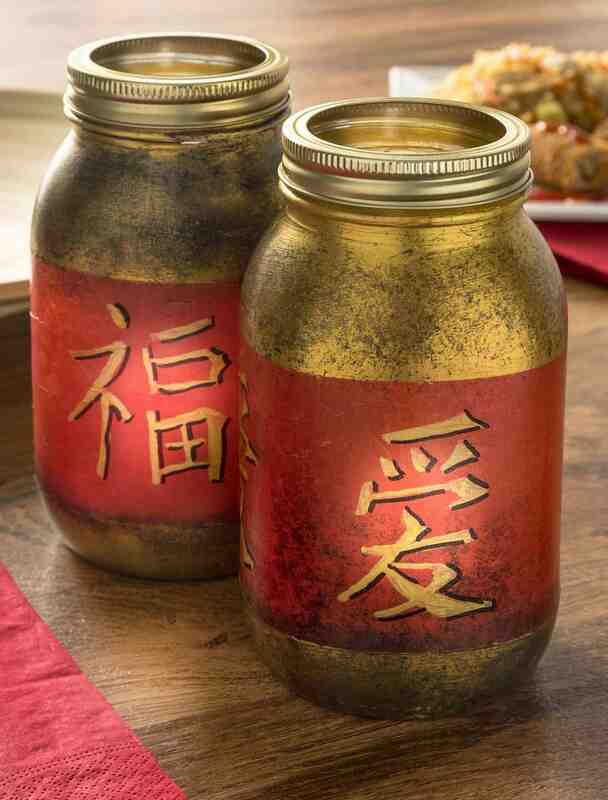 These mason jar lanterns are the perfect centerpiece for your Asian-themed celebration. 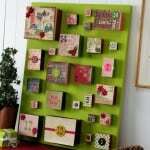 And they aren't hard to make, with Mod Podge. Here's how you do it! 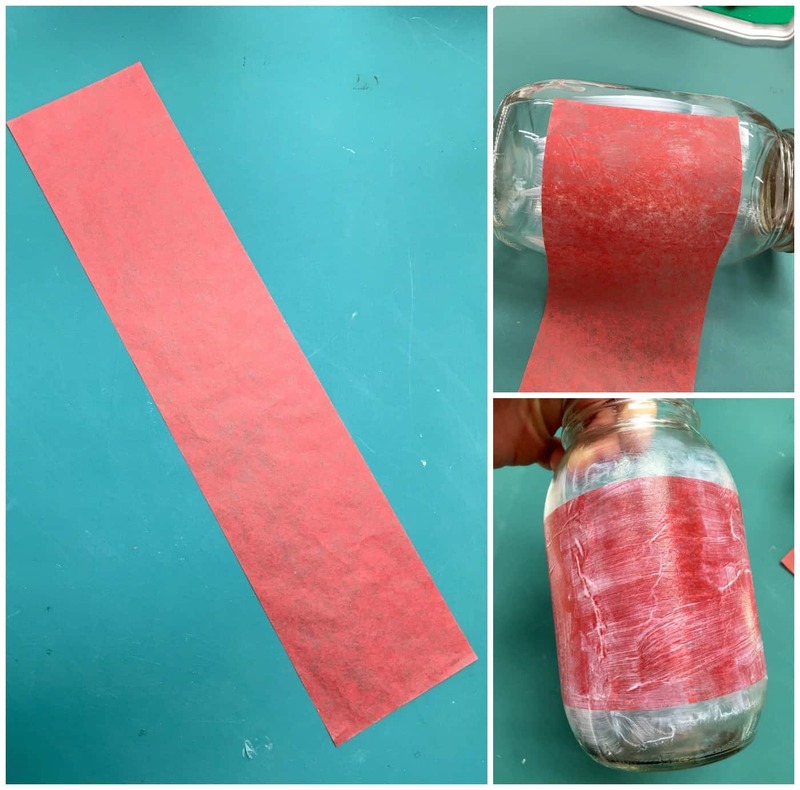 Cut a strip of red tissue paper so that it fits around the middle (flat portion) of your mason jar, making sure it overlaps at the back. 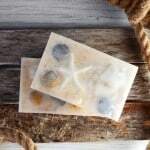 Use the decoupage medium to adhere the paper to the middle of the jar – place some down and then wrap the tissue paper, then lightly decoupage over the top. You might get some wrinkles, but it's okay – smooth carefully and you should only get a few. Repeat with the second jar and let completely dry before starting the next step. 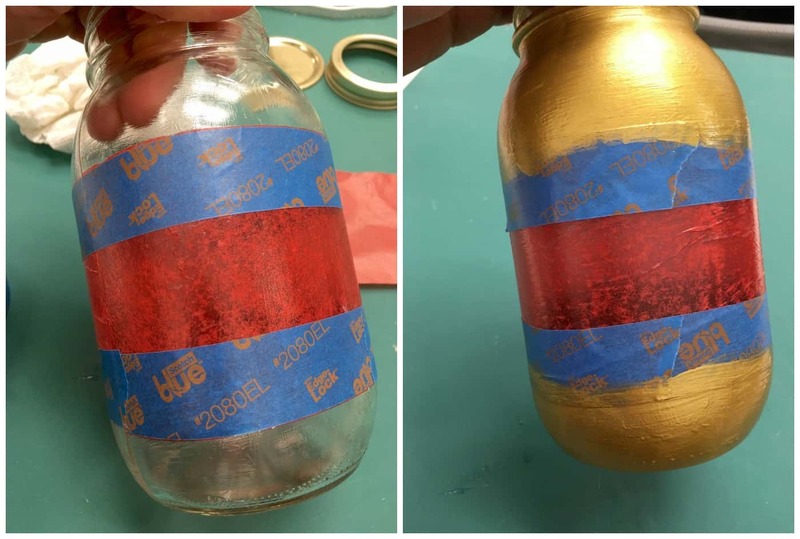 Place the painter's tape around the jar, directly bordering the red tissue paper (top and bottom). Paint several coats of the gold paint until the jar is completely coated. 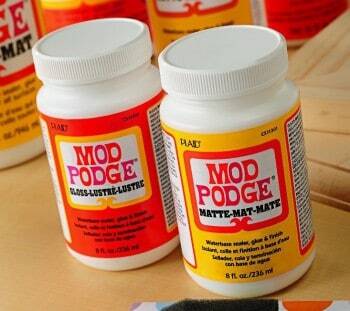 If some Mod Podge got on the jar above or below the tissue paper, yes – you can paint over it! Let the gold paint dry. 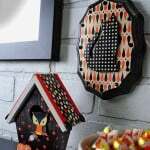 Use a stencil brush to lightly “dry brush” on some black paint, top and bottom. If you're wondering what dry brushing is, it means to remove most of the paint from the stencil brush and then scrub the paint on back and forth (lightly). If you find you applied too much paint, wipe it away before it dries with a paper towel. The final step in this Chinese New Year craft might be the most difficult, but it's actually quite easy. 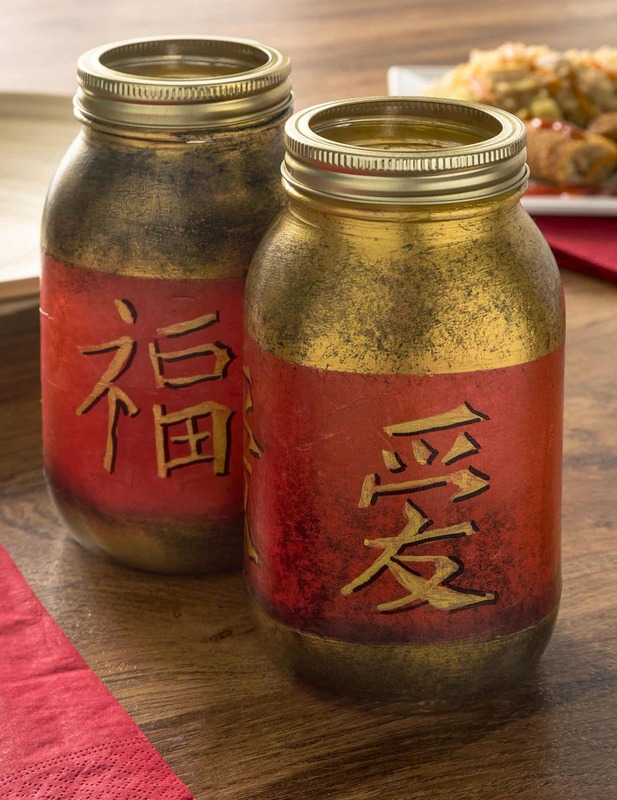 I looked up some Chinese symbols online (like “good fortune”) and freehand drew them onto all four sides of the mason jars with the gold paint pen. Don't put a lot of pressure on yourself to make really accurate Chinese symbols. These are just for fun. I firmly believe in the philosophy of “try your best!” After you draw with the gold paint pen, outline some portions of the symbol with a black Sharpie. 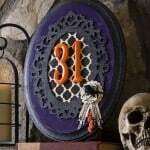 Place some sand in the bottom and black an LED light on top. If you use LED lights, you can put the lid on – if you use tea lights (real), just screw the jar rim on and NOT the lid. Aren't the lanterns beautiful? I'm so pleased with them! They are a perfect addition to your Chinese New Year party. And what is else is a perfect addition to your Chinese New Year party? Tai Pei entrees and snacks! Tai Pei has a range of delicious Chinese restaurant-inspired food that is easy and convenient to prepare and serve. For our party, we chose to snack on a single-serve entree and then an appetizer. Steve and I both picked our favorites. I chose the Chicken Fried Rice – chicken, veggies, and fried rice in an oyster sauce. Steve chose the Chicken Egg Rolls, which are yummy chicken and veggies with a delicious dipping sauce. I loved how easy it was to heat the items in their own containers, and it only took a few minutes. Both of choices were loaded with flavor and delicious! It's hard to say whose choice was better . . . I think either of them would be perfect for a party. I hope you enjoy – and Happy Chinese New Year!